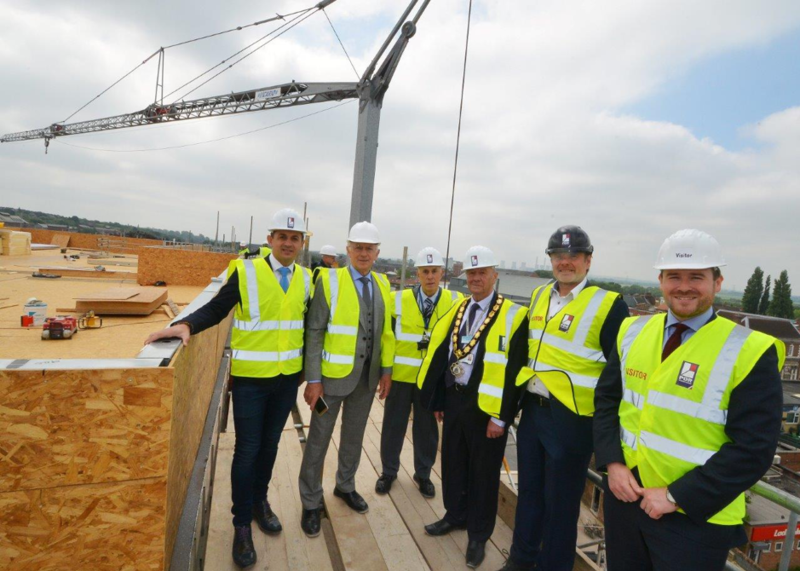 A special topping out ceremony was held in Gainsborough today to mark the completion of the steelwork on the town’s new hotel and restaurant development. The new 56 room Travelodge hotel and Ponti’s Italian Kitchen restaurant is being developed on the former Sun Inn site and is on schedule for completion in September. PDR have now completed the building’s steel frame and the development team marked the milestone with a topping out ceremony. 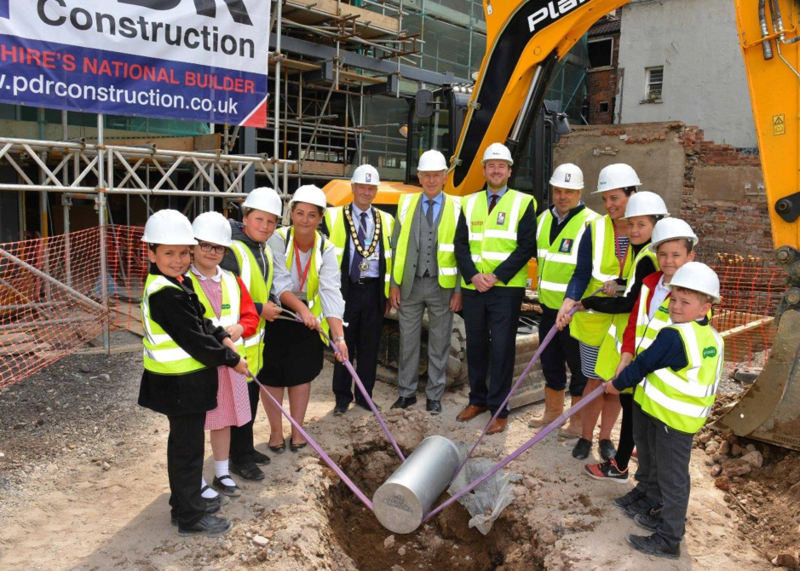 A time capsule filled by the children of The Gainsborough Parish Church of England Primary School was also buried as part of the celebrations. Dransfield Properties and West Lindsey District Council are working in partnership to transform the Market Street, Market Place, Church Street and North Street area of the town – which also involves upgrading Roseways Car Park and refurbishing run-down shops to create a new independent quarter in the town. The overall development will transform this run-down site and deliver the physical and economic regeneration of the town centre, as well as creating 72 new jobs. The youngsters filled the capsule with items including a fidget spinner, Little Mix posters, their favourite book by David Walliams and photos of school life. They also wrote letters about school life in 2018.